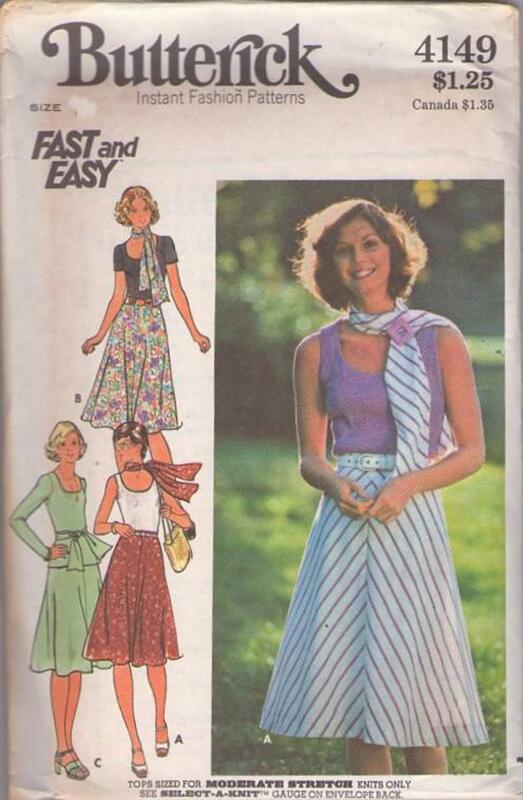 70s Beginners, Retro Casual Clothing Patterns - MISSES' TOPS, SKIRT & SCARF Close fitting tops have scoop necklines and short or full length sleeves, or slightly cutaway armholes. Below-knee length flared skirt without side seams has waistband. Bias oblong scarf, approximately four feet long, is self lined and can also be worn as a tie belt.